Bring the ranch to life with this modern quilting fabric collection 'Howdy' by Stacy Iest Hsu for Moda Fabrics. 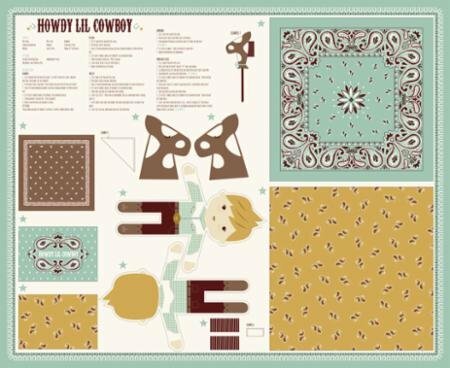 Cut and sew doll panel comes with instructions for the Howdy cowboy and his horse. Perfect project for the young beginner sewer!